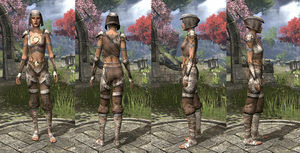 The Bosmer Style is a crafting skill that can be learned by reading the book Crafting Motif 3: Bosmer Style. 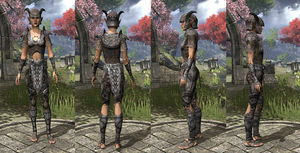 All Bosmer are able to craft in this style by default. 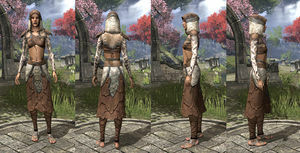 Crafting Bosmer items requires Bone. Like all styles, it is purely cosmetic. Items will have the same stats regardless of the style you use. This page was last modified on 11 March 2018, at 00:42.